Knight Chair in Journalism and Digital Media Economics Penelope Muse Abernathy appeared on the Arizona PBS show “Arizona Horizon” this week, where she talked about her research on U.S. news deserts, speaking with host Ted Simons about the myriad ways news deserts damage American civic society. “As you lose reporters, you lose the ability to cover news,” said Abernathy, who added that the last ten years saw a 50 percent decrease in American journalists, down from 52,000 reporters in 2008 to 26,000 in 2018. This trend mirrors the loss of newspapers around the country. Abernathy’s research at the UNC Center for Innovation and Sustainability in Local Media has shown that nearly 2,000 newspapers have disappeared throughout the U.S. since 2004. 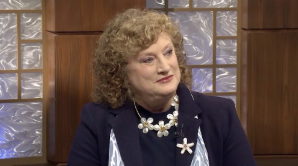 During her “Arizona Horizon” appearance, Abernathy also discusses the three traits critical for a publisher or owner’s success to ensure their media outlets survive in the evolving information ecosystem. Watch the entirety of the interview here.